A congenital heart defect, or any pediatric heart or vascular condition, requires a team with specialized expertise and advanced surgical and other skills. 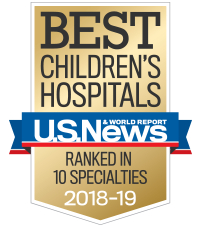 You and your patients do not have to go far to find it—at Children’s. Call 404-256-2593 or 800-542-2233 for immediate access to our physicians and services. By phone: Call the Cardiac Call Center at 404-256-2593 or 800-542-2233. To ensure prompt service, please include the patient's name, demographics, responsible party's name and phone number, reason for visit or diagnosis code, insurance name and policy ID, and physician's notes from the patient's visit. By fax: Complete and fax form to 404-252-7431. Please provide the patient with a copy of the completed form to bring to the first appointment. Download and fill out our referral form. Fax it to 404-785-1869. Make a predetermination of active coverage, including network stipulations. Generate a referral request from the patient’s insurance plan. Fax or email all validated referrals to 404-252-7431 or referral@kidsheart.com. To request appointment cards for your patients who are coming to the Sibley Heart Center, order online. To request order pads for making referrals to the Sibley Heart Center, order online. Our leaders in pediatric cardiology travel the state offering training and education. Pediatric Syncope: Earn CME credits by reading Pediatric Syncope and completing the online quiz. Screening for Critical Congenital Heart Disease: Earn CME credits by reading the online article and completing the quiz.